The “Blog” of “Unnecessary” Quotation Marks: and other fake holidays! 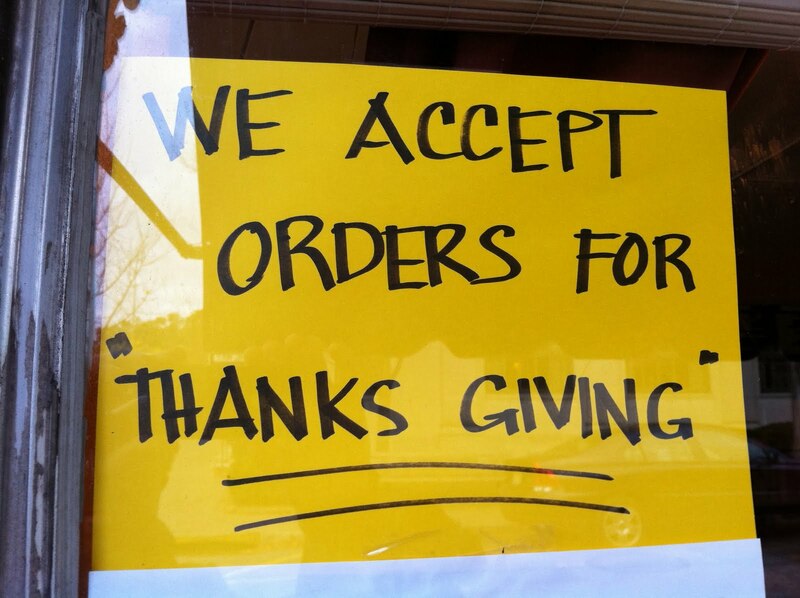 Dan spotted this before the US Thanksgiving holiday, but the quotation marks really make more sense now. I ORDER you to give thanks. It's not the holiday with that space in the middle.